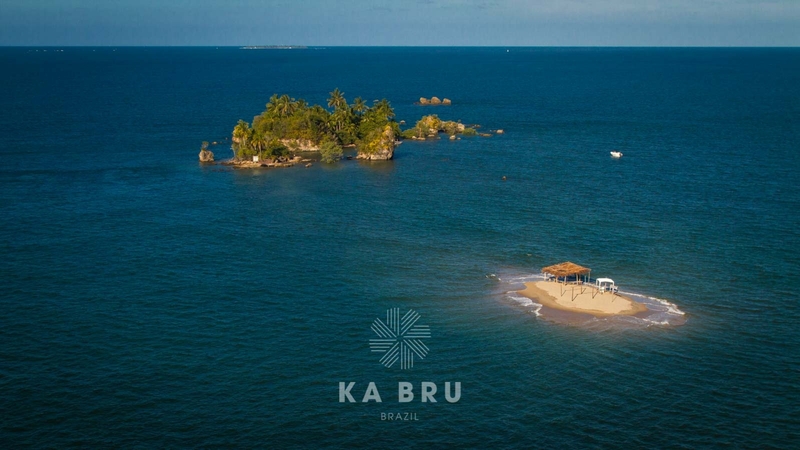 Four jewels in beautiful Bahia - Brazil. Four unique locations, four overwhelming experiences, four unforgettable escapes. 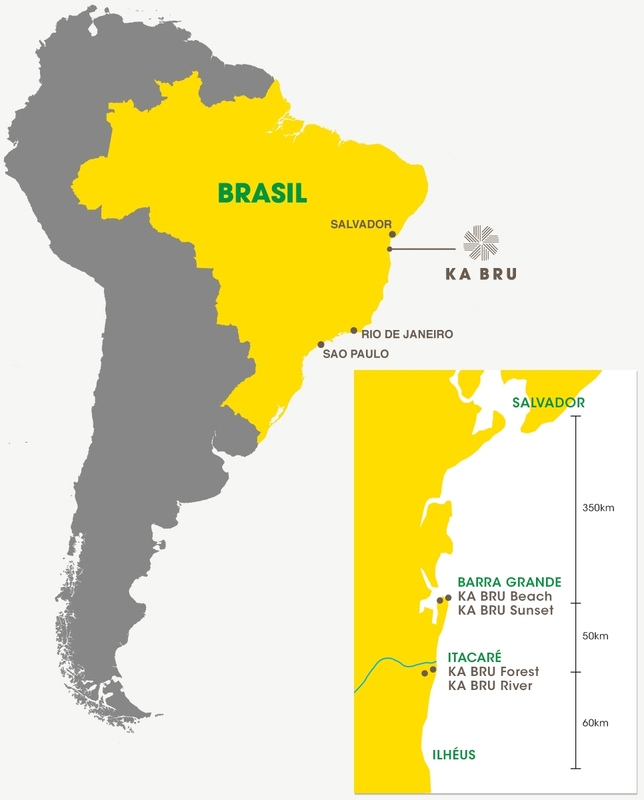 This is KA BRU Brazil. 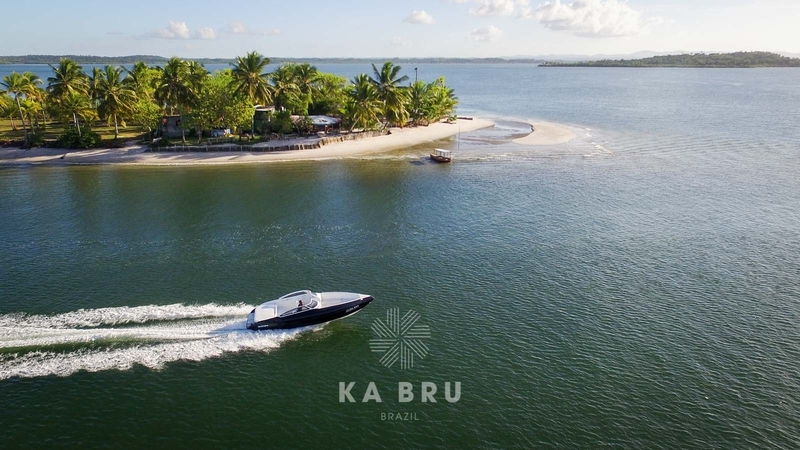 Located close to the village of Barra Grande Bahia, KA BRU Beach is an intimate beachfront Boutique Hotel nestled at the entrance of stunning Camamu Bay, one of Brazil’s great natural wonders. Each of the 6 stylish and contemporary rooms has its own private terrace where guests can soak up the tranquillity of this natural oasis in peaceful solitude, before enjoying an a la carte dinner and drinks in the hotel’s dedicated restaurant and bar. 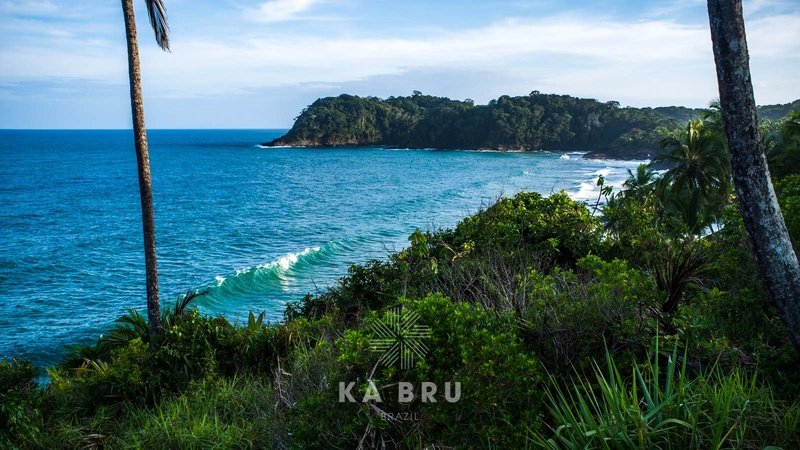 In addition we also offer the private Villa KA BRU Sunset which is connected to the hotel. The Villa is only a 7 minutes’ drive away from the hotel. Enjoy various activities on land and water such as the hotel own stand up paddle boards. 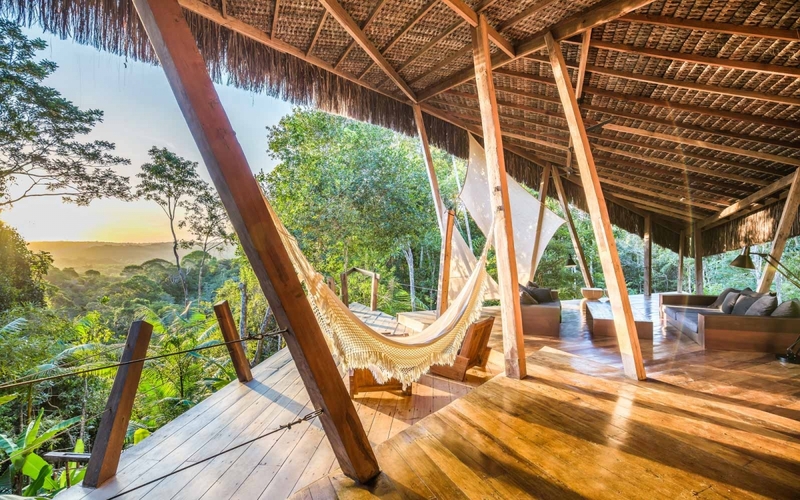 KA BRU Forest Villa is the ultimate one bed-room jungle tree house. An architectural masterpiece that exists in harmony with the surrounding forest. 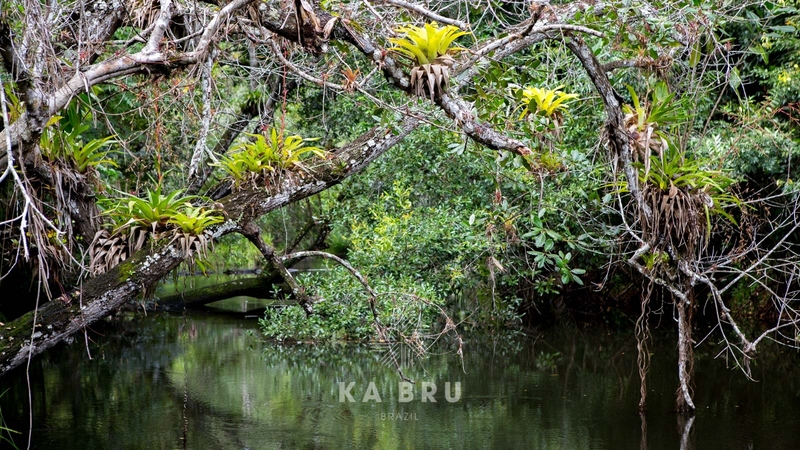 Generous open living spaces that invite you to interact with nature in uncompromising comfort, luxury and safety. A 10-minutes' drive through lush tropical trails brings you to the vibrant surf town of Itacaré and its beautiful beaches. 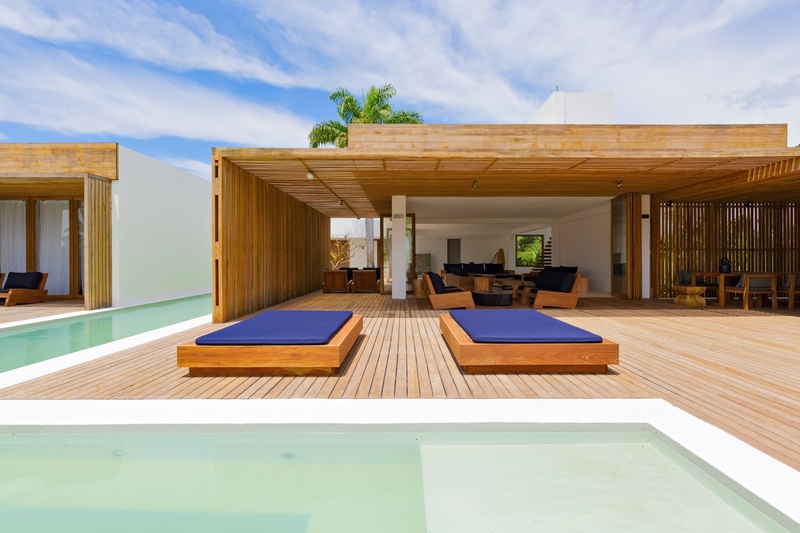 A gem of tropical architecture. 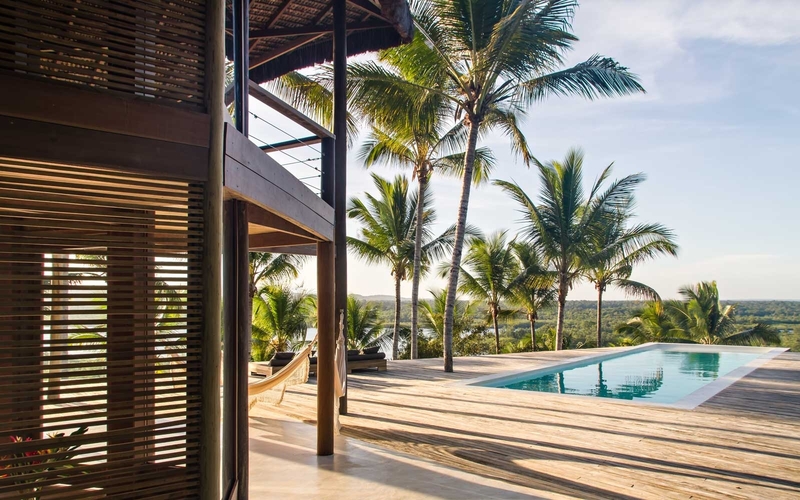 This magnificent two-room villa overlooks the pristine wilderness of Itacaré’s river delta and the surrounding Atlantic rainforest. 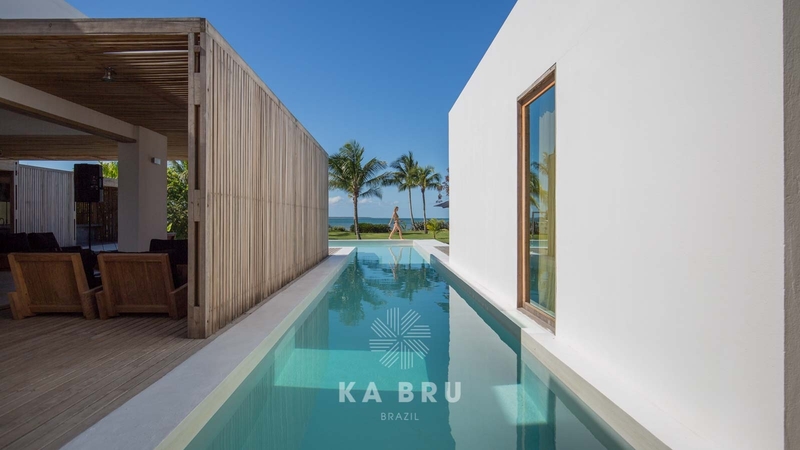 A 10-minutes' drive from the village of Itacaré, KA BRU Rivers infinity pool offers a stunning panorama of the region’s spectacular and ever-changing weather patterns – paradise viewed from the heavens.  KA BRU Sunset is the latest addition to KA BRU Brazil. 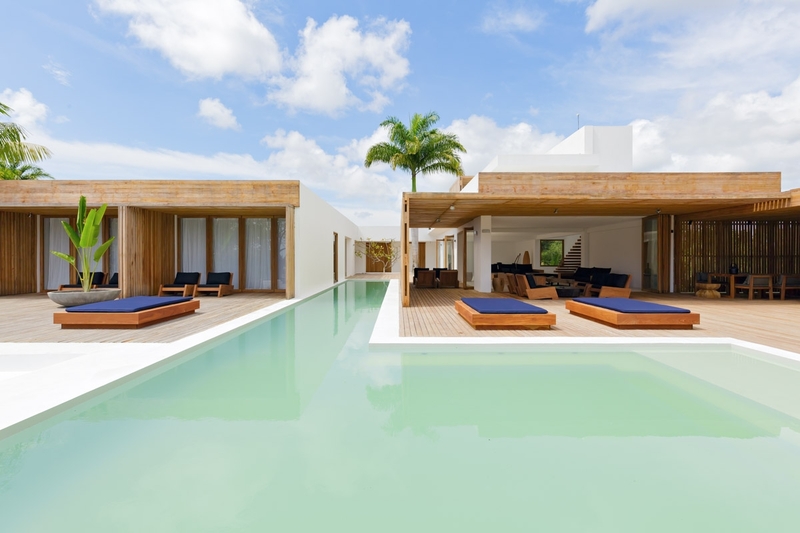 This romantic waterfront villa is a modern interpretation of a Bahian Style house. Open floors with a contemporary design and fully equipped kitchen. 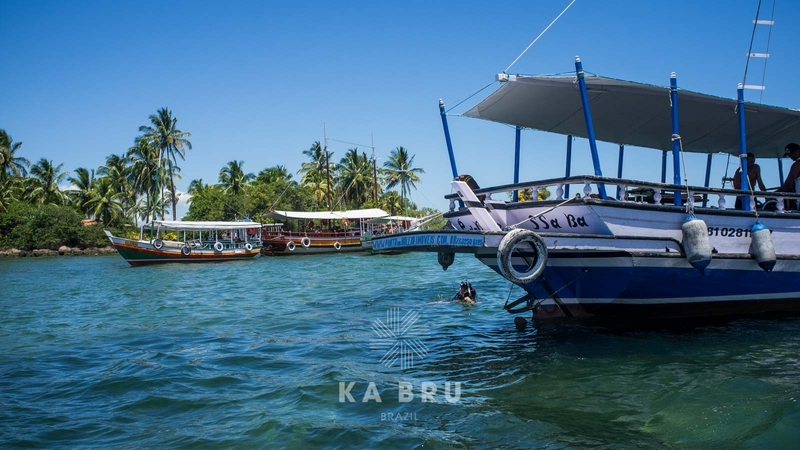 Guests at the KA BRU Sunset Villa get to enjoy spectacular sunset views directly from its private pool or its own pier where boats up to 16m can be docked. 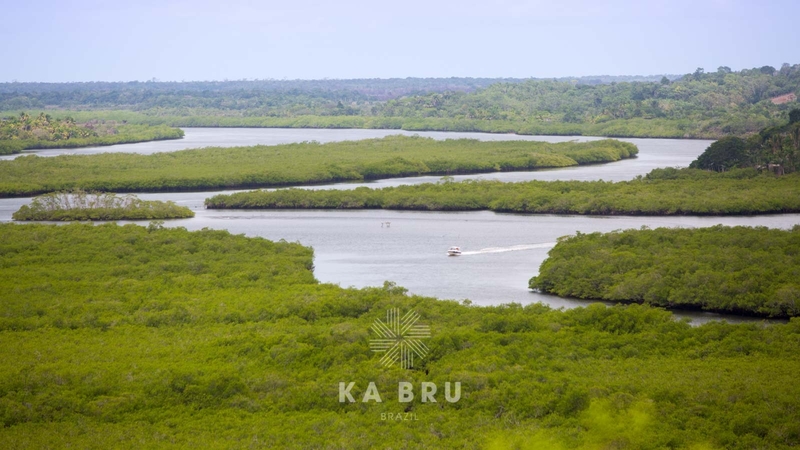 Thanks to its unique location, the Peninsula of Marau is largely undeveloped and has many peaceful seaside villages just waiting to be discovered, along with endless pristine beaches, tropical forests, rivers, and ecological preserves. The beaches on the ocean side of the peninsula are the longest and offer the best surf. At low tide, their coral reefs create natural swimming pools for calmer waters. 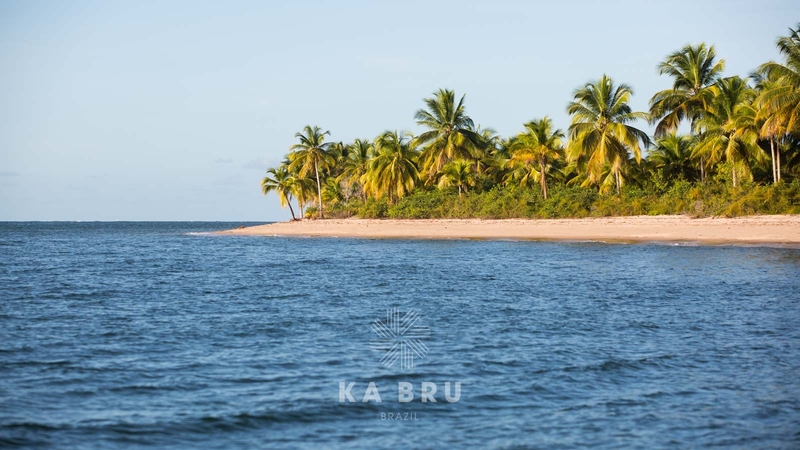 On the other side the peninsula faces Camamu Bay, where the water is calm and countless islands and waterways punctuate the seascape. 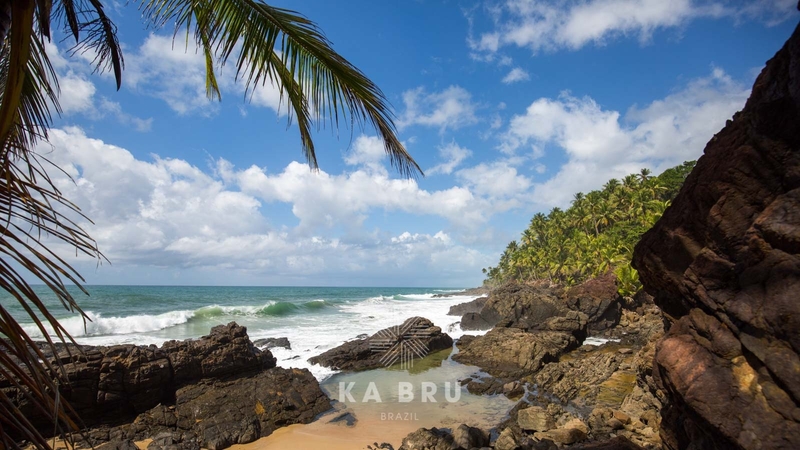 Nestled between Bahia’s rocky Atlantic coast and tropical rainforest lies the hip and colourful town of Itacaré. 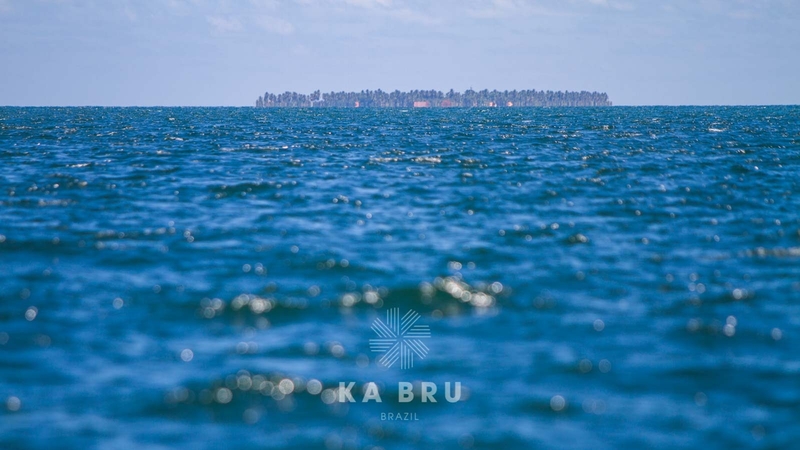 A formally notorious hangout for Dutch and Portuguese pirates. 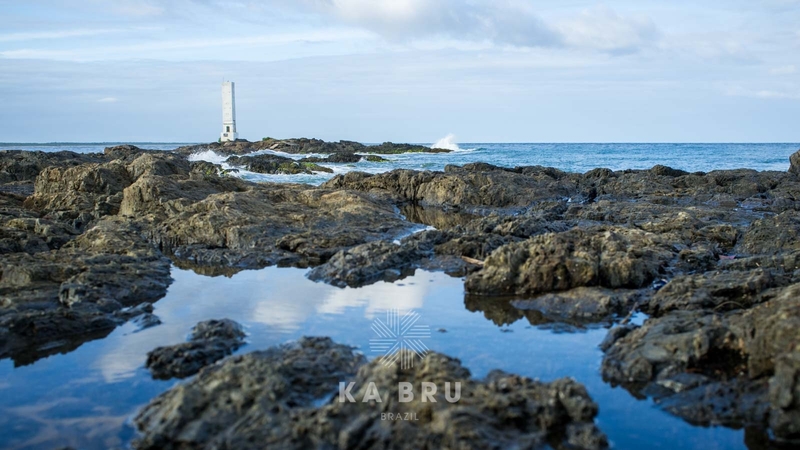 In recent years this former fishing village has become the hub of Bahian culture. A popular destination for surfers, hikers and eco-tourists alike, Itacaré is especially popular during New Year's and Carnival. 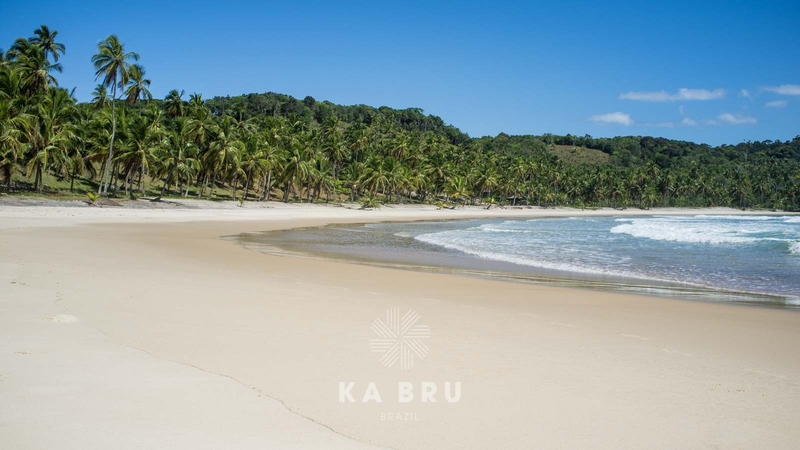 While the beaches close to town are well stocked with lively restaurants, hotels and bars, just a few miles down the coast you'll find the beaches, well preserved and free of development. Coming from a background in fashion and interior design, Ms Karagi has conceived and produced many high-end stores and destinations in the fashion and lifestyle sector. 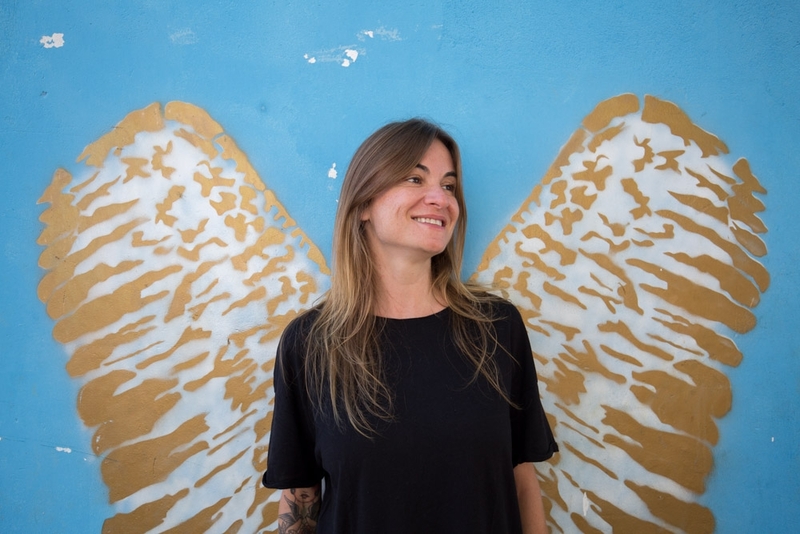 Some of her projects include the AIRYOGA studio, Spa destinations in Zurich and Munich, flagship stores in Zurich and Geneva for the luxurious lingerie label Agent Provocateur and the high-end design accessories store Lovers Lane in Zurich. 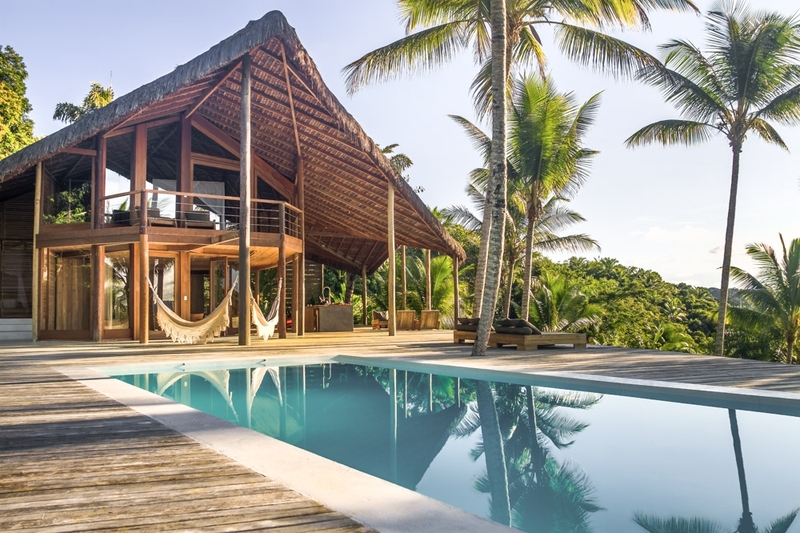 Since relocating to the Bahia region, Danielas' eye for detail, feeling for space and exceptional sense of quality and style, have served her well in successfully realizing two luxury concept destinations in the Itacaré area. 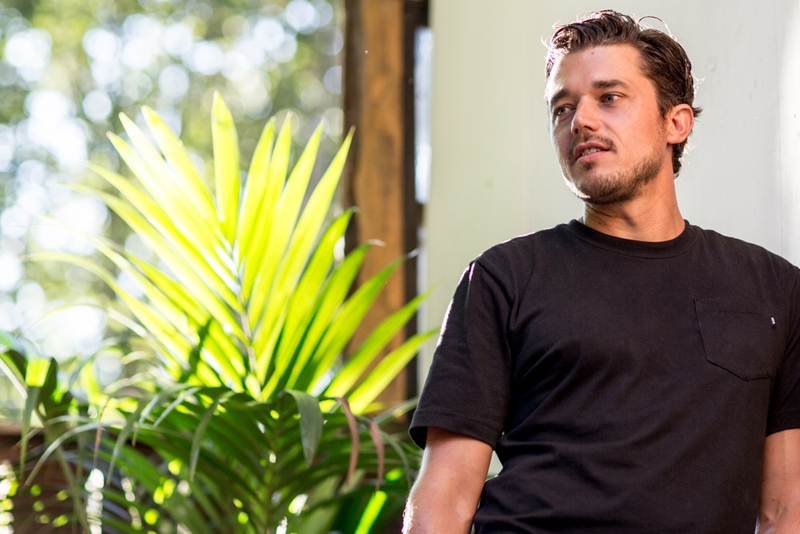 Coming from a background in freelance photography, Patrick Armbruster is an award-winning filmmaker and the co-founder of Absinthe Films, an internationally acclaimed Action Sports film and TV production company. In 2014 Patrick co-founded Idealcomm GmbH, a Zurich-based marketing and communications agency, specializing in live events and film & photo productions. 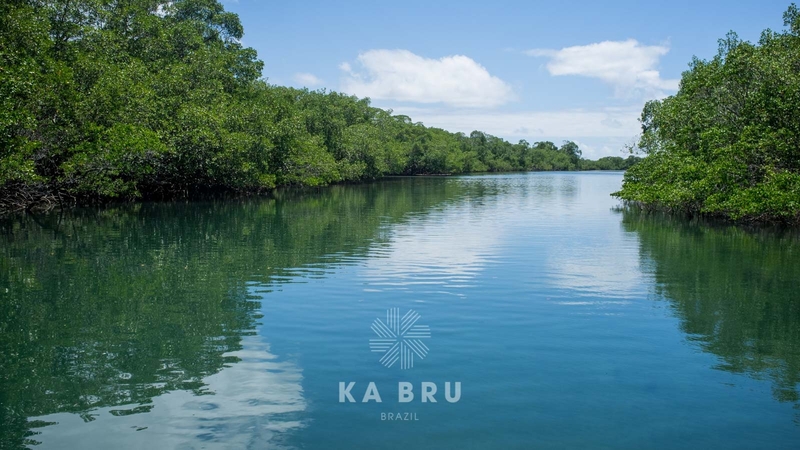 Patrick contributes his marketing expertise along with his hands-on film and photo production skills to the KA BRU Brazil project. 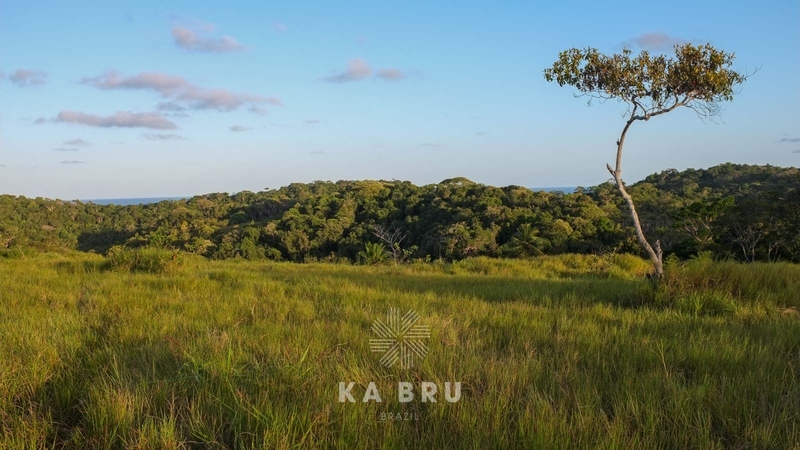 Together with Daniela Karagi, Patrick planned and realized the KA BRU Forest property. 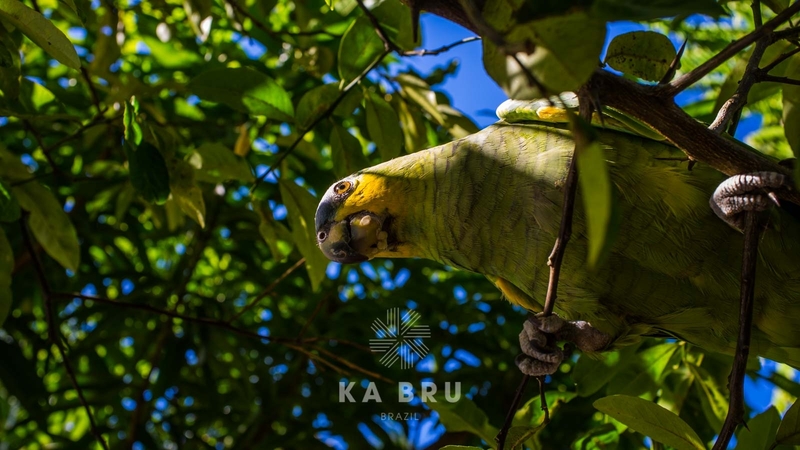 The guests at KA BRU Brazil enjoy a personal contact to the owners. We are happy to assist you with any questions, travel plans, special needs and wishes. 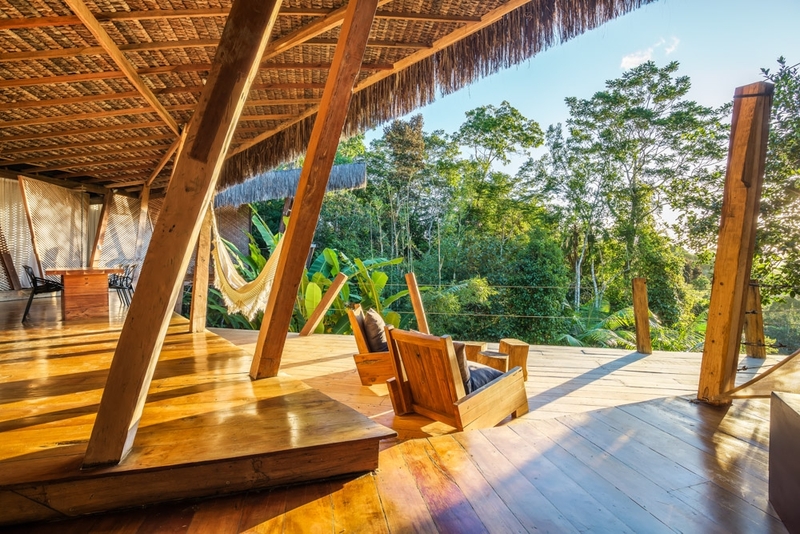 We are looking forward to create an unforgettable stay with us in Brazil.